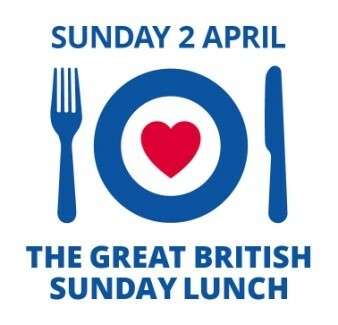 RAF hero Stuart Robinson has helped launch the RAF Benevolent Fund’s national fundraiser, the Great British Sunday Lunch. The former RAF Gunner suffered life-changing injuries in 2013 when his vehicle hit an IED in Afghanistan, resulting in the loss of both his legs. He was joined at his home in Morecambe, Lancs, by the Midland Hotel’s head chef, Michael Wilson who helped him sharpen up his culinary skills and prepare a mouth-watering dish. 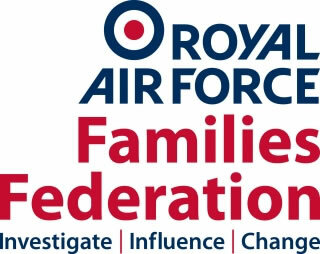 The Army Families Federation (AFF) recently launched its latest initiative in support of spousal employment in partnership with workforce experts Manpower, giving Army families in the Salisbury Plan area of Wiltshire the chance to access employability advice and support free of charge. A man from Kent is preparing to take on the Southampton Marathon for Blind Veterans UK, the national charity for vision-impaired ex-Service men and women. Martin Wilson, 38 and currently stationed in Germany, will be running the 26-mile course in a bomb suit, weighing 33kg. A man from Darlington is training to compete in a 100k walk across the Yorkshire Dales for Blind Veterans UK, the national charity for vision-impaired ex-Service men and women. Darren Hoare, 27, will be embarking on the challenge for the second time, having previously taken part last year in what was the challenge’s inaugural year. Wounded Veterans to take on gruelling muddy obstacle race to raise money for Blesma and they want you to join them! A group of wounded veterans are taking on the menacing Nuclear Races in May and they’re not letting their injuries stop them. Blesma are partnering with Nuclear Races in Brentwood for their award winning fun, tough and gritty obstacle race on 13 May. With a Blesma dedicated wave at 12:40 and 500 places to fill, wounded Veterans are asking you to take part alongside them to complete this gruelling 7k race. It was announced today (10/02) that military charity Blind Veterans UK will be sponsoring a special garden at the RHS Hampton Court Palace Flower Show in July. The ‘It’s all about community garden’ has been designed by celebrated designers Andrew Fisher Tomlin & Dan Bowyer and it will be one of the largest show gardens at Hampton Court this year. It is now a month since I took over as the Chairman of Cobseo and I have spent the time visiting as many members of the Confederation as possible, including a visit north of the border hosted by Veterans Scotland. I am conscious that the membership stretches across the length and breadth of the country and that there is much more to see. The impressions that I have gained so far are no more than a snapshot. Nevertheless, the visits and conversations that I have had have been extremely stimulating and encouraging. The Service Charities which make up the Cobseo membership are remarkably varied and diverse. Their objectives, structures, size, concerns and requirements are all different; some are small and very local, some are huge and national. However, the unifying purpose of this divergent group is a passion for the Armed Forces Community that they serve. In my contacts so far, whether in head offices, in London, or in the country, that passion has been striking and tangible. Previous research has identified that a significant issue for ex-Service personnel is access to housing and that they are thought to be over-represented in the homeless population. 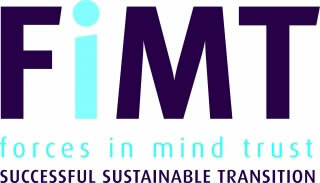 Midlands Military Meet (M3) is a new networking group in the Birmingham area. The group meets on the first Thursday of every quarter for relaxed and informal networking.